Following the election of Brazil as the host of the 2014 FIFA World Cup®, the country started selecting the cities that were to hold the event, including Recife. 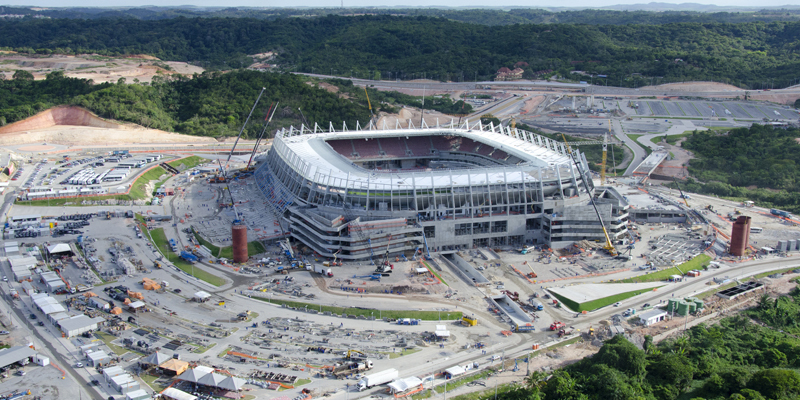 An agreement was signed between TPF ENGENHARIA (former Projetec) and the Pernambuco State Government whereby the company was to support the managerial and auditing activities related to the physical and financial infrastructure for building the Arena Pernambuco, a modern 46,000-seat stadium in accordance with FIFA’s patterns. In its managerial capacity, TPF ENGENHARIA developed, among other things, the methodology for the follow-up of the physical and financial progress of the construction process with monitoring reports including comparative evaluations of the chronograms planned and carried out.